I shared our organized shoes in our entryway a few days ago which was the first part of this post. Today I am sharing the rest of the entryway with our winter gears. Having our entryway organized has made a huge difference in our home already. Our entryway was in a state of chaos and was not a joyful place to look at. Maybe it was not totally out of control but it was not organized. It was not fun to look at a messy entryway every time we walked by with shoes and jackets in piles. 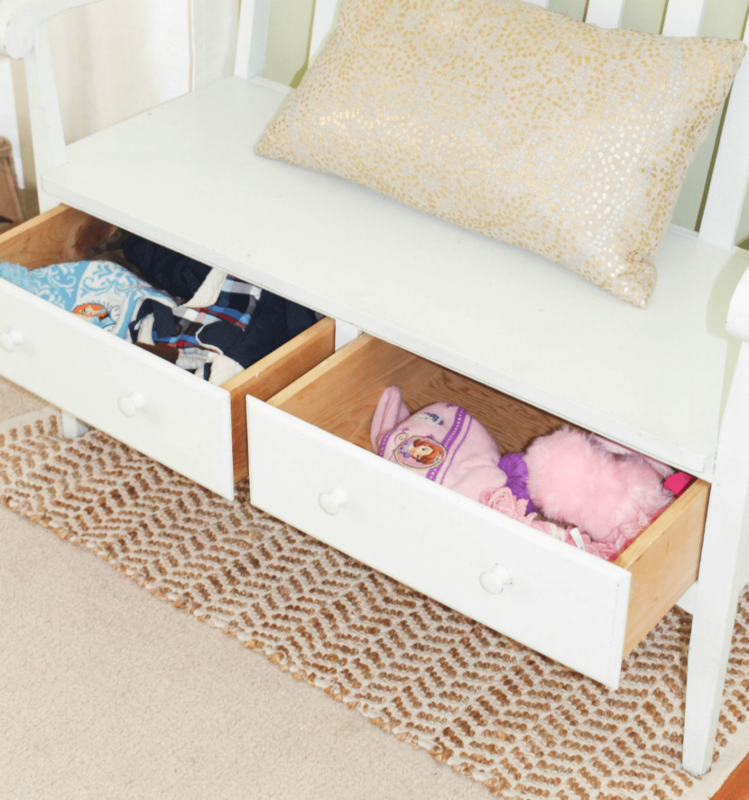 But sometimes getting a space organized does not happen quickly. It may take a while to figure out the best items to make the space functional. Plus when there are multiple areas that need to be organized, some things take priority. Our entryway was a priority, but it took me a while to search around to figure out what was best to use to get it under control. Other accessories that are great to have in an entryway would be things like a mirror just in case you feel the need to check before you step out, a pretty plant to soften up the space, and even a welcoming sign. But really, the main things you need to have to keep it organized before thinking about “style” are what I listed above. 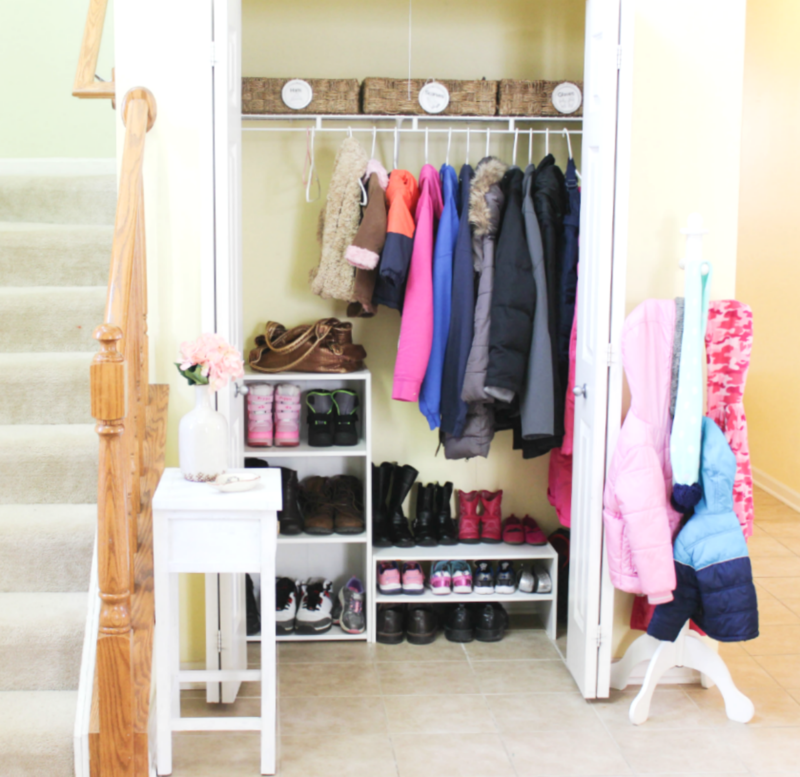 In our front entryway, the two biggest problems were the shoes and kids jackets, especially the shoes. Some were in a bin and others in a pile on the closet floor – no fun to dig around for shoes when we needed them. As for the kids jackets, they’d only be hung if one of us parents hung them up (or taken down if we did) because they can’t reach the hangers. Many times, when they came from the outside, I’d have them just put it on a bench or so until I hung them up. Sometimes I would put them up shortly and other times, they’d remain in a pile for a few days (if they were not wet). I’ll share more about the shoes and kids jackets further down but everything now has a “place” to call its own. The closet and entryway are so functional now. It’s been a few weeks since I organized them and everyone seems to be on board and pretty consistent in putting things back where they belong. Doesn’t it make you happy when you take time to organize a little place at home that feels functional and your family helps with keeping it functional? That’s always great. The three baskets on the very top holds our (parents) hats, scarves, gloves. I used some labels to attach to the baskets because to make it easier to know what is in them. I’ve heard my husband ask what was in each basket and even I tend to forget what is in which basket. When I first added the labels, our 6 year old got excited and began reading them (pictures helped) but she is too small to reach the baskets anyway. The kids belongings are placed lower so they could easily get to them without always having to call on one of us to reach them. 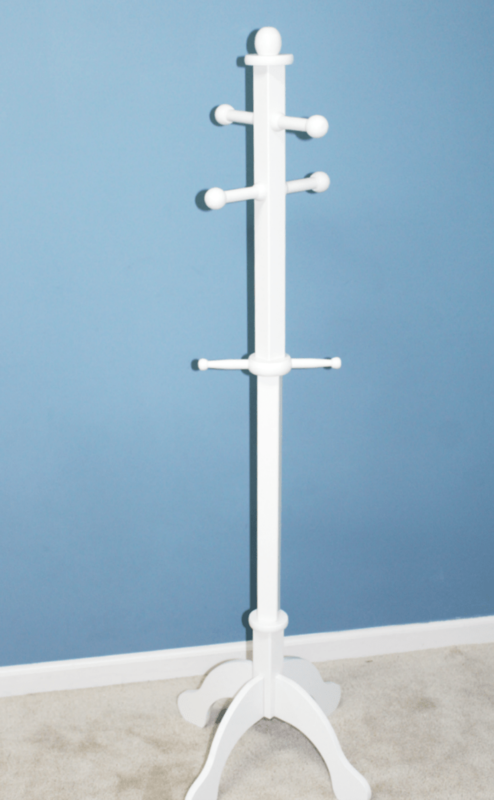 To organize most of the kids jackets, I bought this kid-sized standing rack (affiliate link). At first, I was not sure how a rack would look out front because the entryway is split with a front room on the opposite side. So there is no ‘real corner’ to place it. I tried it in the closet and it fit fine but I needed back the space to organize the shoes. I have placed in one area near to the entry closet and it fits perfectly in it’s spot. It’s not big so it does not take up a ton of space. This little rack is doing wonders! It’s such a joy to watch the kids reach for and hang up their jackets. Even our 2 year old could reach the lower racks. We keep only the regulars on the rack to save space and a few others winter jackets hung in the closet and some stored away. The snow suits are also in the closet as they are not daily wear -no need to try to fit them all on the rack if they are not using them right away. But this little rack has been a true blessing. If the kids come in wet from outside, they could easily hang the jackets up to dry instead of placing them on the bench waiting to be hung by one of us. It also helps our Kindergartner to easily get her stuff in the mornings. I mentioned earlier that our entryway is split with a front room on the opposite side. You can see it in the following photo. This little bench is one of my favorite. But it’s too big to fit near the closet so it has assumed a position here for now. And can you guess what the drawers are holding? 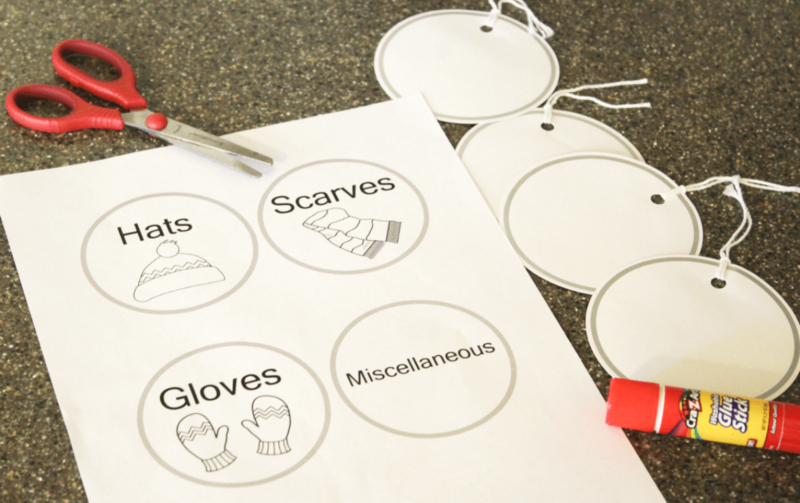 Yes, the kids smaller winter gears – scarves, hats, gloves, mittens, ear muffs, etc. Most of it are just thrown in there. But this whole entryway system has been working really well. I placed a small jute rug underneath the bench to keep shoes off the carpet because sometimes we use it to put on our shoes. Here is a close-up of our everyday winter shoe organization. It is not practical to keep them in the bedroom closet. You can read all about how and why I decided to organize them in this post and a few of my tips for organizing shoes. This system has been so helpful!! Everyone can find their shoes easily, especially if we are rushing out the door. No more wasting time and trying to find matching pairs. The table is a thrifted and repainted find. I share it here in this post. It’s helpful to have something to place keys and miscellaneous items to keep the clutter away (although, not much go here). So far, some keys are placed here as everything else seem to be placed in our garage entryway – a work in progress. But we’ve had some rain already so I am thinking a small tall basket that fits snugly under or beside the table with umbrellas would be ideal. The only problem is that we have kids who like to play with umbrellas and as a result, they get broken. So we’ve been keeping them out of reach. I also think a nice little seat would work well beside the table. It will make it easier for putting on shoes rather than us having to bend or sit on the bench on the other side of the room. But the space is too small for both. I may change things up if I find the right pieces (a seat with no table or a seat and a smaller table). So that’s the organized front entryway and my “must haves” for keeping it organized, especially during the winter season. If it doesn’t get too cold where you are then you may have to use some other method. We usually rotate out the shoes and jackets once the weather warms up. 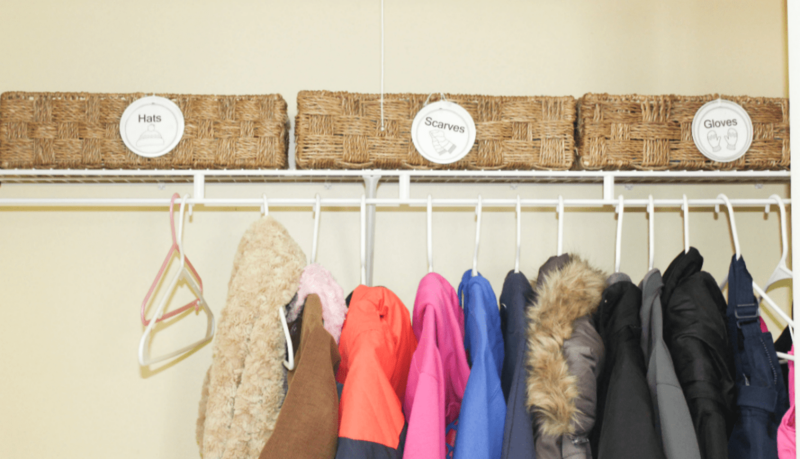 The smaller winter gear are usually washed and stored away so these baskets could be used for other things if we decide to store away the gears. But having an organized entryway has really made a good difference for us. Things remain neat for the most part, easy to find, and it is a prettier site to look at. 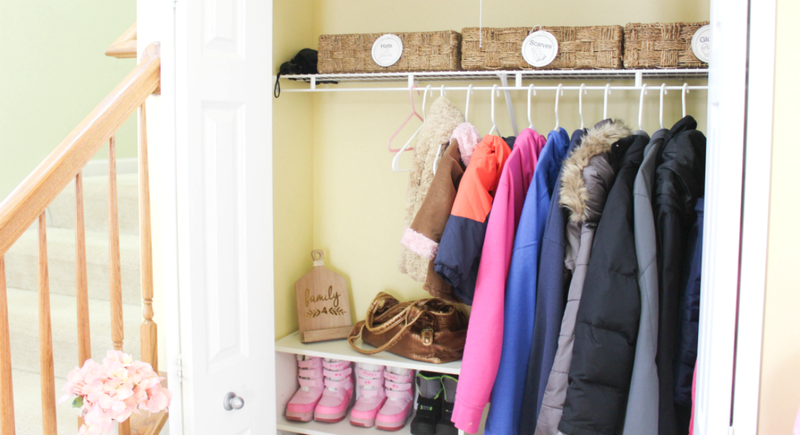 What else would you add to organize an entryway? 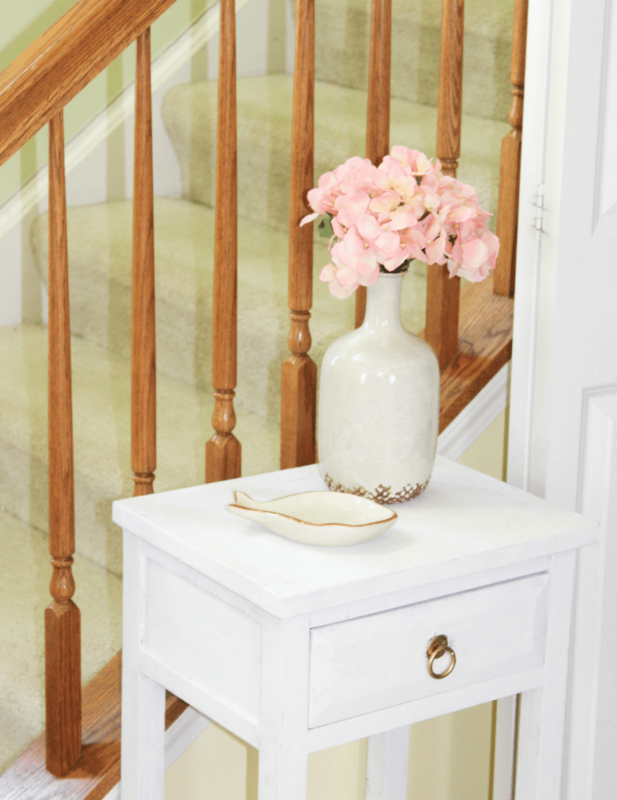 I think I’ve covered the main items that would keep an entryway organized but I’d love to know your thoughts. 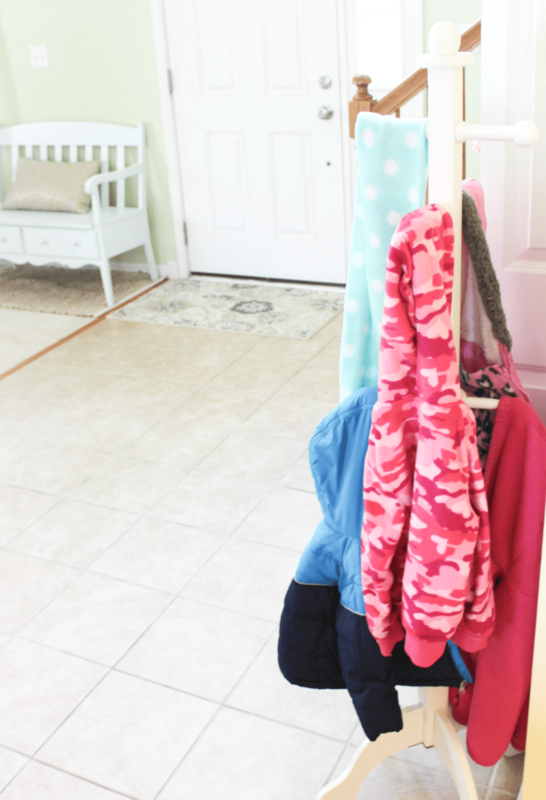 Making it so the kids can hang up their own stuff is so smart! Thanks Melinda. 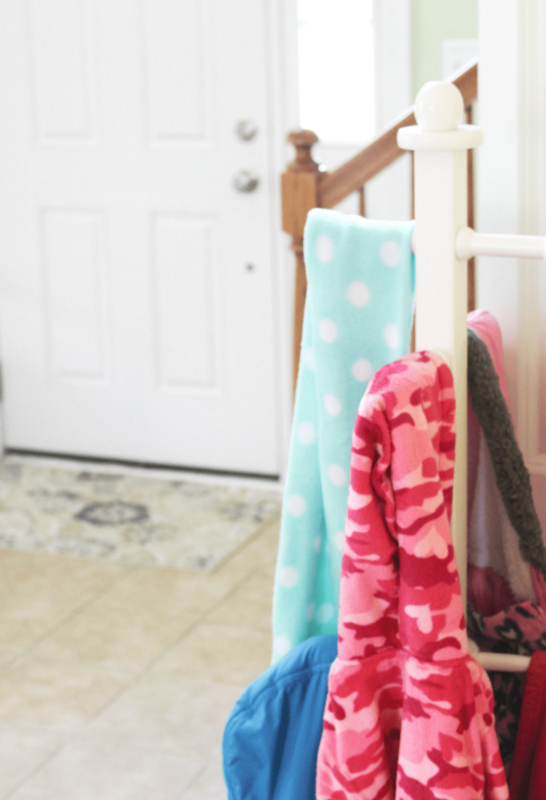 They really love their little coat rack – it makes it so much easier for them!! I love the completed organized entryway. Everything looks so neat and tidy and everything has a proper space. I agree that getting the entryway organized makes everything easier and it looks so pretty. I need to utilize some of your ideas to finish my mudroom. It’s definitely an ongoing project. This is great organization, Zan. I love how well you’ve used the space — even the small table to the left of the closet. You have some good pieces in your entry, like the bench and the shelves. Thanks!! It’s so functional now that I organized it this way!!! That bench is definitely one of our favorites.